Good News! 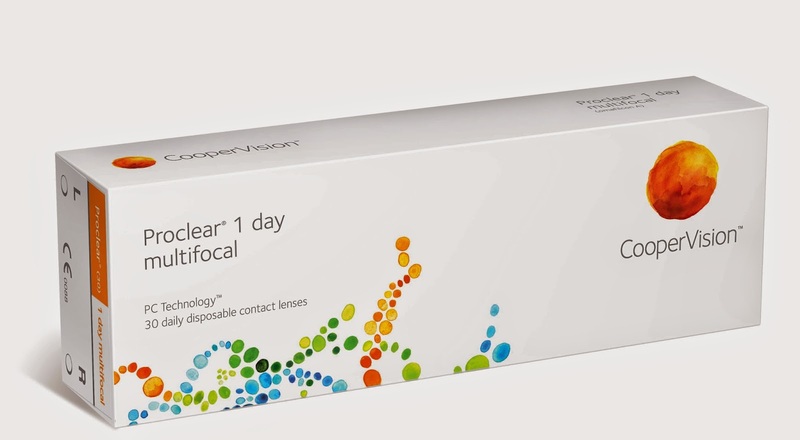 CooperVision Proclear 1-day Multifocal Contact Lens is here! Wondering what is Multifocal Contact Lens? If you’re over the age of 40, you may start to feel as if you need a longer pair of arms to clearly read a menu or the newspaper. If so, welcome to the world of presbyopia. In short, presbyopia is an eye condition that affects everyone once you reach the age of 40-45. At that point, objects close up start to look blurry. To see a book you’re trying to read clearly, you may have to s-t-r-e-t-c-h your arms farther from your eyes. Of course, you can only stretch your arms so far. As we’ve said, presbyopia affects all of us—100% —at a certain age. It’s common and thankfully easily correctable. But you’re probably wondering what causes presbyopia to occur around our mid-forties. Here’s the answer. Within our eyes, sitting right beneath the iris, rests the crystalline lens. It helps refract, or bend, light in our eyes and pass it to the retina. You can almost think of it as a camera lens that adjusts for focusing. As we get older, the crystalline lens loses its elasticity, worsening until you reach your early 60s. This prevents your eyes from focusing as well as they once did when you were younger. Multifocal contacts can help you read objects that are close and far, as well as keep your glasses in your pocket. Today’s silicon hydrogel contacts are much more comfortable and can be worn longer than those from a decade or so ago. In fact, Proclear contacts are the only contact lenses cleared by the U.S. FDA for the claim: “may provide improved comfort for contact lens wearers who experience mild discomfort or symptoms relating to dryness during lens wear. This very fact will pretty much answer the concern of more people who have doubts wearing contact lens. Promotion till 8th April 2015. Grab this opportunity! 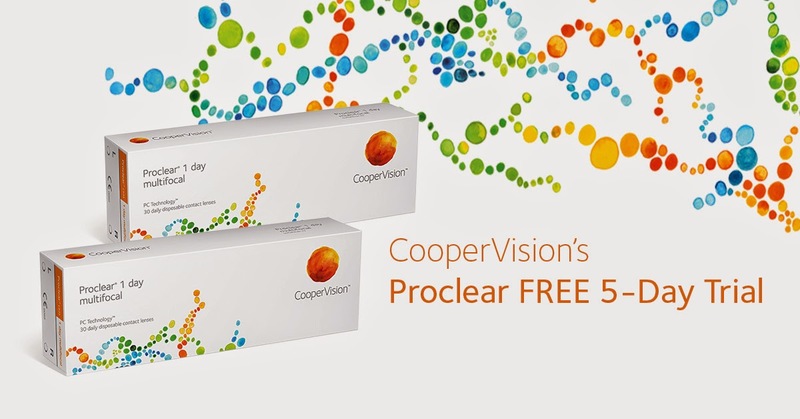 For a small fee of $15, get an eye check by an eye care professional and get a FREE 5-day trial of CooperVision Proclear 1 day multifocal contact lenses. The $15 can be used to offset the purchase of a minimum of 2 boxes of PC1DMF @ $150. The promotion is available at the 8 stores listed in the dropdown box titled “Redemption Outlet” on the same webpage. Bring your daddy/mummy to make purchase or go get yours today!